I love this post! I have frequently told my interfaith couples not to use the High Holy Days as the non-Jewish partner’s first exposure to Jewish services, but I learned the hard way about Purim. 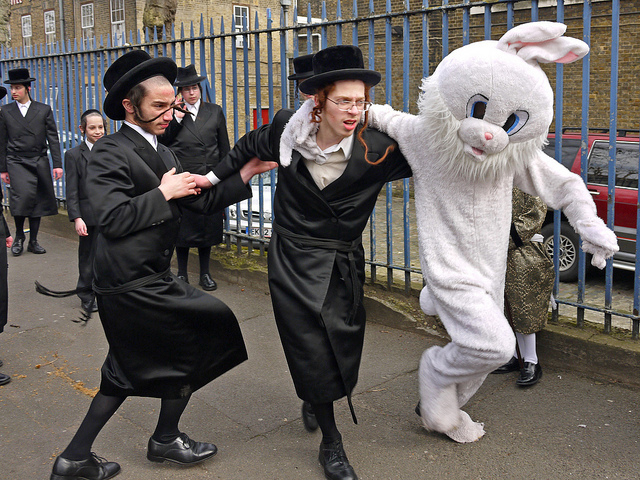 A lovely couple told me they had attended a Purim shpiel and carnival and “no one talked to us.” Nope, in the wild, crazy celebration no one even noticed them. You are SO right about Purim.